Use 100ml in 2,000 lt of water tank. utensils, feed utensils, trays surface cleaning. 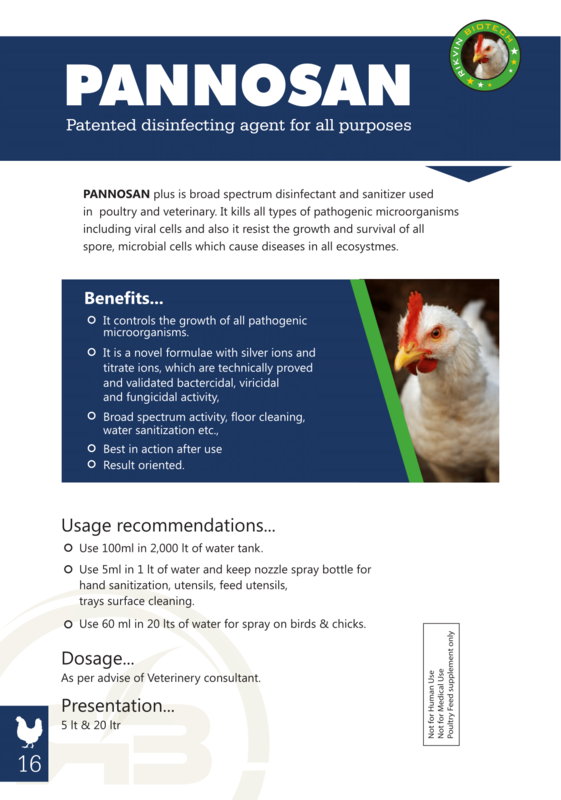 Use 60 ml in 20 lts of water for spray on birds & chicks.